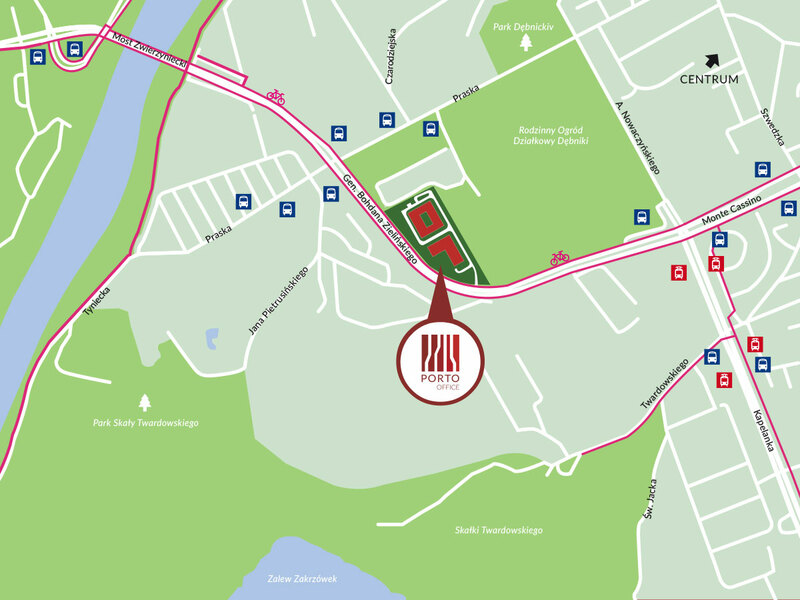 The Porto Office complex offers easy access to the well-developed local transport network. Within a short walking distance there is the Praska Street bus stop as well as the large Kapelanka tram and bus transport hub. This green construction project promotes the use of eco-friendly transport, including bicycles and electric cars. The complex is accessible by bicycle paths and the buildings include cloak rooms with showers for cyclists. The underground carpark has chargers for electric cars.